The Spanish arthritis and agriculture fotonovela, ¿Podrá ser la ARTRITIS lo que me causa DOLOR? (Is arthritis the cause of my pain? ), is ready! Each SRAP will receive 100 copies of this new resource. For those that ordered additional copies, they will be shipped along with your 100 free copies. 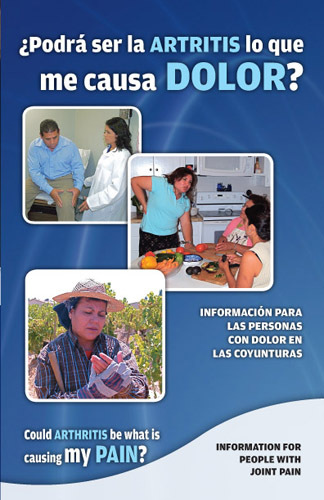 To order additional copies of the fotonovela, please contact Amber Wolfe at awolfe@arthritis.org or 1-800-783-2342. The National AgrAbility Advisory Team recently met in Indianapolis on April 21-22. The team consists of agriculture and rehabilitation professionals from around the U.S. and is charged with providing feedback to the NAP on its services and initiatives. For a listing of NAP Advisory Team members, see www.agrability.org/team/ index.html (bottom of the page). Arthritis and Agriculture workshops were presented in Vermont (April 14-15) and Maryland (April 29-30). The AgrAbility projects in those states hosted Amber Wolfe, AgrAbility Project Coordinator for the Arthritis Foundation-Indiana Chapter, as a guest speaker. The workshops were open to the general public, farmers and farm workers, and agricultural professionals. To schedule an Arthritis and Agriculture workshop in your state, please email awolfe@arthritis.org. The newly created Arthritis and Agriculture newsletter, Growing Pains, will debut its first issue in May. This will be a semiannual newsletter focusing on the issue of arthritis as a disabling disease in agriculture. All SRAPs,along with AgrAbility partners and staff will receive this newsletter. Hotel reservations can now be made for the 2010 NTW! Mark your Calendar!! 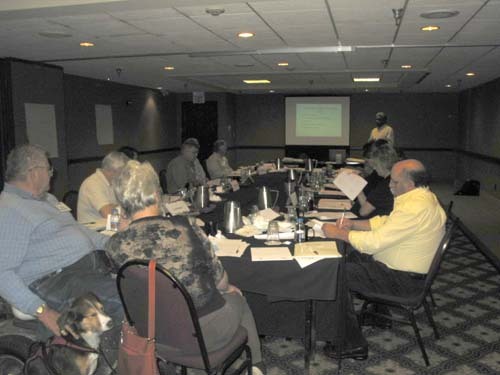 NTW 2010 is officially on the books for October 11-14, 2010 in Charleston, West Virginia! The conference will take place at the Marriott Charleston Town Center. Reservations can be made by calling (800) 228-9290 or (304) 345-6500. You will want to mention that you are coming with the National AgrAbility Training Workshop. Rates are $101.00 per night. Book your room early to ensure you receive the conference rate.